I always get bored of my hair. I’ll get it cut shorter, and then decide I want it long. Once it grows out, I decide it’s too much of a faff and get it cut again, only to remember that the reason I was growing it out in the first place was because I get weird flicky ends when I have a lob. I’ll get a fringe cut in, and then realise that the reason I’ve never kept a fringe for too long is because I can never be bothered to style it. After years of going through this cycle I’ve finally come to the conclusion that my hair and I get along best when it’s past my shoulders and fringe-less, but that doesn’t stop me from wanting to do something to freshen it up a bit. I decided that a new colour and some new products would do the job. Back when I was sixteen I used to use the semi-permanent dyes from L’Oreal but those are out of the question now I’m cruelty-free, and to be honest the idea of slapping a load of harsh chemicals on my hair isn’t as appealing as it once was (I was all about the cherry red back in the day). I wanted to give my hair a bit of life without using a synthetic dye and after reading Brianne’s review of the LUSH Henna I knew I’d found what I wanted. 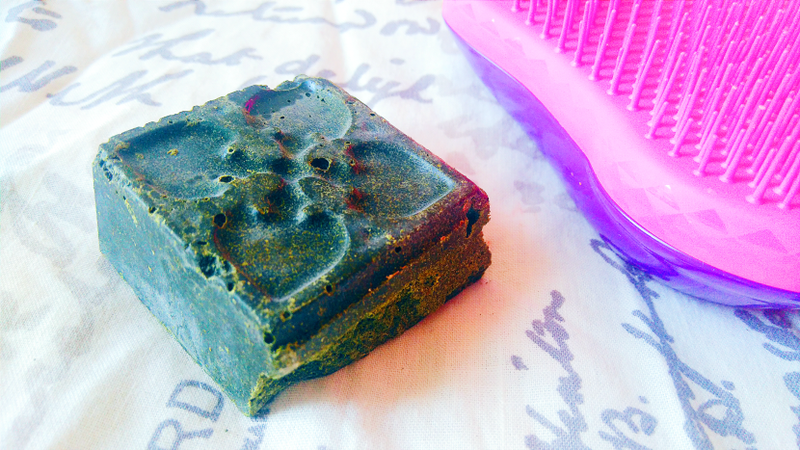 I picked up a sample brick of the Brun shade in LUSH Cardiff and took it home with me over Easter to try out. The instructions say to break the brick into pieces but, like Brianne, I found it much easier to grate it down before melting it in a bowl over a hot saucepan. My mum’s first reaction when she smelt this was ‘It smells like weed!’ which is kinda true, although thankfully the essential oils in the henna make it a little more pleasant. One brick was enough for my fine, shoulder-length hair, but I imagine you’ll need two if your hair is thicker and/or longer than mine. My hairdresser applied it, putting the paste on the roots before working it down the length of my hair, and once every strand was covered I left the henna to do its thing for two hours. I’d heard that washing it out could be a bit of a faff, since it sets quite solidly, but actually it wasn’t too bad; I just had to spend a bit more time in the shower than normal. Once washed and dried my hair looked pretty much the same, perhaps a little glossier and darker at the roots, and it felt softer (that’s the cocoa butter working its magic). The henna is probably best if you want a subtle change rather than a dramatic one. I’d been hoping for a more noticeable results so I doubt I’ll be colouring my hair on a regular basis. The results may be more obvious if your hair is lighter, though, so do pick up a sample brick if you’re curious! The mask is lovely. It has a very thick texture but it isn’t too much for my fine hair, although I generally ignore the tub’s suggestion to use an egg-sized amount and go for about a third of that. 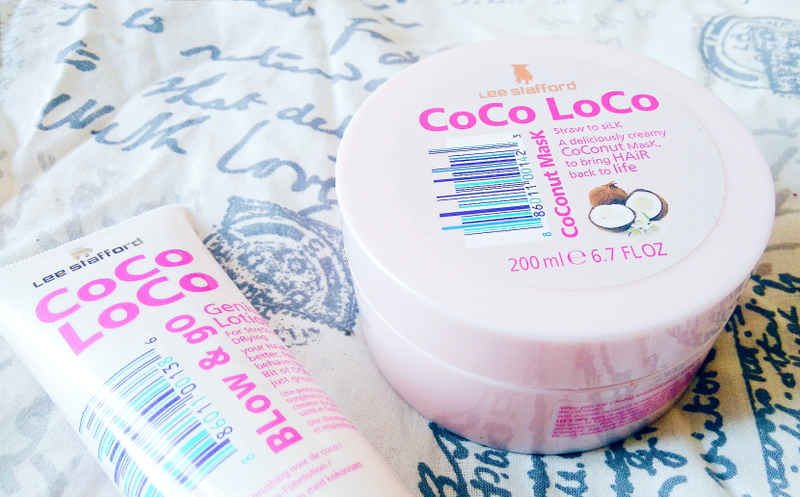 The Coco Loco Mask rinses out easily and leaves my hair feeling softer and I think stronger, too? I’m getting a lot less fall-out than I used to, anyway. The coconut scent is amazing and it lingers on the hair, so this is a winner for me; I’ll repurchase for sure. As for the Blow and Go Genius Lotion? I’m not quite as in love with it, but I’ve been enjoying using it all the same. It certainly leaves the ends of my hair smooth and smelling delicious, if hair can even smell that way, and I love that the heat protection is included because it means I don’t have to use a separate spray. I just find it very difficult to get excited about products to use with heat stylers because I’m lazy! But this is certainly worth a go, and it won’t weigh down fine hair if used sparingly. I wanted to see what all the fuss was about, and guys, I get it now. 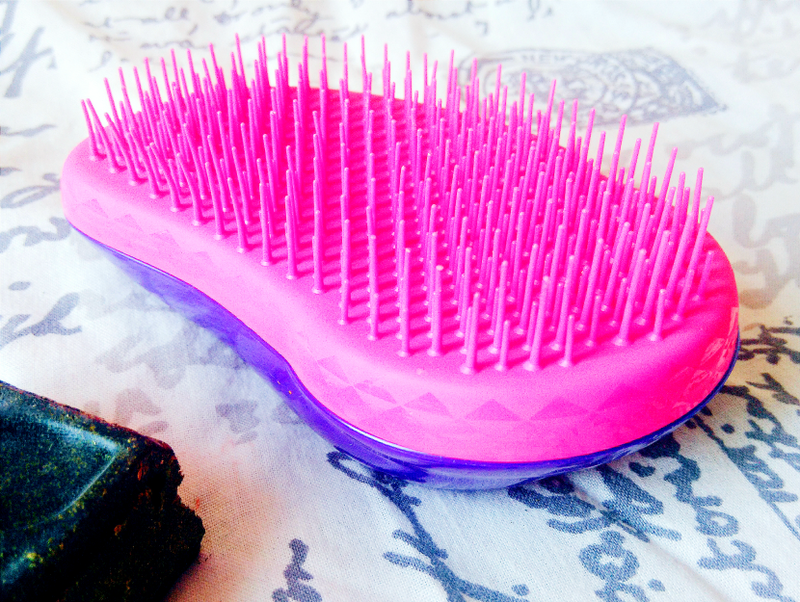 The Tangle Teezer glides through my hair without pulling, deals with knots with minimal fuss and is also much easier to clean than a regular hairbrush. I like the shape of it as well — I know some people prefer to have a handle, but I find this brush very easy to hold. To be honest I’m kicking myself for not picking up one of these sooner. What hair products can’t you live without? Have you tried any of these? Let me know in the comments!